"I love my fruit every month! Fresh fruit at the door is a nice surprise, especially in the winter!" Treat yourself or someone special to a mouth-watering, hand-picked treat month after month by joining Clubs of America's Fruit Gift of the Month Club. Personalize your message and even send a special reminder before your gift ships. Every package ships with our monthly newsletter covering your selections, fun facts and more. Flexible subscription options. Plus: Free Shipping. Every Gift. Always. For more than 24 years we have been delivering great tasting, exotic varieties of fresh fruit to our Fruit Gift of the Month Club members from small orchards around the world. Your Monthly Fruit Club Gift will include the best fruit from quality orchards that are harvested by hand. Our Fruit Gift of the Month Club has delivered millions of packages to happy customers over the many years we have been in business. 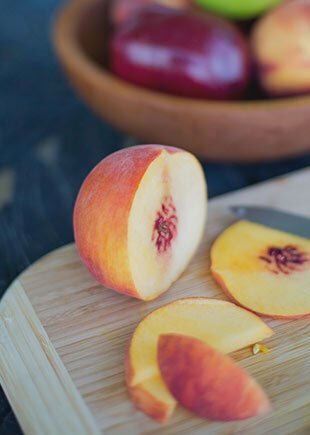 Our past selections of fruit have included Comic Pears, Honey Tangerines, Bing Cherries, Taylor’s Gold Pears, Royal Pineapple, Tropical Kiwi, and more! You also don’t have to worry if the quality of the fruit isn’t what you expected; all of our packages are backed with a 100% satisfaction guarantee. We only ship the highest quality of fruit here! Each month we feature fresh and unique fruits from a few orchards and fields that are focused on creating the highest quality of fruit. Many of these fruits are unique and exotic so you know you’re in an exclusive club when you’re biting into Clubs of America fruit! Our Fruit Gift of the Month Club members receive monthly fruit shipments delivered straight to their door or send our Fruit Gift of the Month Club as a fruit gift to your gift recipient to show that you care! Each month, the recipient will receive 5 pounds of rare fruit from across the globe with a few different varieties in each shipment. Our Fruit Gift of the Month Club doesn’t skimp on size so we’re sending you a delivery of 5 pounds of fresh fruit that will treat you or someone special to great tasting fruit all month long. Not only are you receiving the best fruit but you will also receive a FREE Fruit Expeditions monthly newsletter subscription where we’ll give you great information on the exclusive fruit you received this month for your Fruit Gift of the Month Club subscription as well information on the featured fruit recipes to enjoy your monthly fruit club. This is all offered to you with FREE shipping each month for our Fruit Gift the Month Club as well as any other monthly club we offer. We offer our Fruit Gift of the Month Club members the chance to customize the length of their unique, original fruit monthly shipments as well. We offer two-month subscriptions, while also offering three, four, six, and twelve month fruit subscriptions. We offer you the ability to get fruit shipments monthly, bi monthly, or every three months. Adding to our user-friendly customization, we allow payments to be made monthly or in full if you wish. Don’t forget to check out our Fruit Club Blog for updated content related to the best fruit club in America! Can I choose the fruit I receive? No. All of the fruit is pre-selected, fresh for you. Pears: Upon arrival, allow pears to ripen at room temperature. Pears ripen in about 4-6 days. Pears are ripe when they yield to gentle pressure and emit a pear fragrance. Once ripe, pears can be stored in the refrigerator for an extra 2-4 days. Rinse pears before eating. 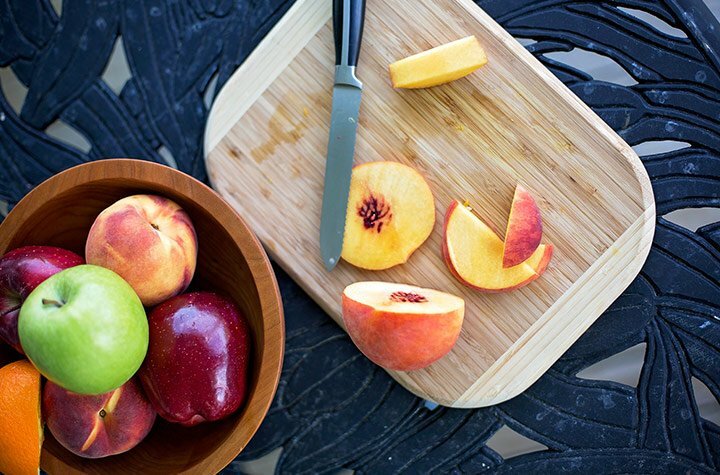 Peaches, Nectarines & Plums: Upon arrival, allow fruit to ripen at room temperature. Fruit is ripe in about 2-4 days when yielding to gentle pressure and fragrant. Once ripe, fruit can be stored in the refrigerator for an extra 2-4 days. Rinse fruit before eating. Pineapples: Pineapples should be ripened at room temperature. Ripening times will vary but, in general, a pineapple is ripe when it is yellow in appearance and the bottom of the core is soft to pressure. Once ripe, a pineapple can be stored in the refrigerator for 2-4 days. Rinse and cut before eating. Mangos: Mangos should be ripened at room temperature. Once ripe, mangos should be consumed. Rinse and cut mango in half and remove pit (be careful, mangoes are slippery). Once pit is removed, score the mango and turn the mango half inside out to cut away the scored mango chunks. Papayas: Papayas should be ripened at room temperature. Once ripe, they should be consumed. Rinse and scoop out seed and either eat a papaya half or peel and slice. Kiwi: Kiwi should be ripened at room temperature. Once ripe, kiwi can be stored in the refrigerator for 2-4 days. Kiwis are ripe when yielding to gentle pressure. Cut kiwi in half and scoop out fruit or peel kiwi and slice. Oranges: Oranges are ready to eat and do not need further ripening. Upon arrival, place oranges in the refrigerator. Oranges can be refrigerated for 5-7 days. Rinse and peel before eating. Grapefruit: Grapefruit are ready to eat and do not need further ripening. Upon arrival, place grapefruit in the refrigerator to store and eat within 5-7 days. 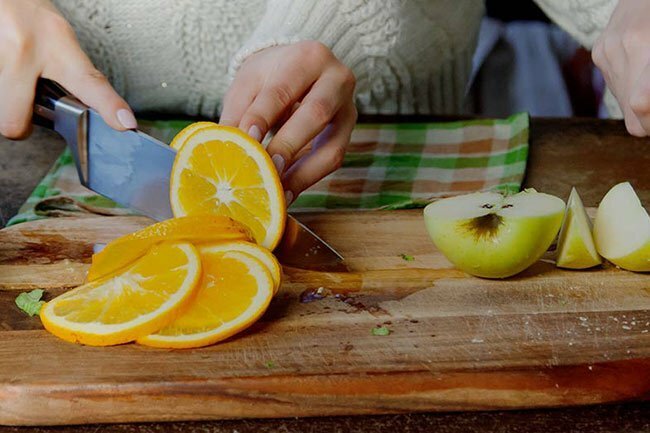 Rinse and cut or peel before eating. Tangerines, Tangelos, Clementines & Mandarins: Specialty citrus is ready to eat upon arrival or can be stored in the refrigerator for 5-7 days. Rinse and peel before consumption. Apples: Store apples in the refrigerator upon arrival. Apples should be consumed with in 7-10 days upon arrival. Rinse apples before eating. Apples can be eaten whole or peeled and sliced. Cherries: Store cherries in refrigerator upon arrival. Rinse cherries before eating. Cherries are very perishable and should be eaten within 1-3 days of arrival. How is the fruit shipped? All fruit is shipped via FedEx 2nd Day Air to preserve freshness. What are some examples of the fruits I may receive? Examples are: Comice Pears & Honey Tangerines; Bing Cherries & Taylor’s Gold Pears; Royal Pineapple & Tropical Kiwi. You will receive 2 different selections of fresh fruit each month. Approximately 5 pounds of total weight with 7 to 13 total pieces depending on the feature. You will also receive our informative monthly club newsletter “Fruit Expeditions.” Shipments arrive by the 3rd or 4th week of each month. Why should I choose your Fruit Gift of the Month Club? When you decide to place a Fruit Club order with us at Clubs of America, you are dealing with a company that has been doing this service since 1994 with over 3 million shipments. We are the most experienced company in the club business and we are committed to the highest quality products and service for our customers. You can check out Better Business Bureau reports by searching Clubs of America and you will see that we have earned an incredible reputation in the business. Your 100% satisfaction is everything to us and will stand behind everything we ship to you or your gift recipients. Will I be obligated into a whole year as a member? No. Unlike other clubs, we have absolutely no minimum membership time. You pick how many months you would like to join or give as a gift. You can join any of our clubs from 1 to 12 months. You may cancel at anytime. However, if you do join for a whole year we will give you an instant rebate of $25. Only $37.95 Per Month with Free Shipping! Like getting things done all at once? We’ve got you covered. Like to just spread it out? You can do that too. This is a fun way to surprise a friend, don’t tell them the frequency, set it to bi-monthly and they will get a box of awesome when they aren’t even expecting it. Doesn’t have to be this month, maybe you’re one of those super thoughtful types that planned ahead. You can start the cycle anytime! Free Shipping. Every Gift. Always. Pay as you go, or share the fun for a year and save up to $50. We Work with the BEST! Chosen with care by our team of taste testers & specialists. We make it easy and put you first 100% of the time. The Pink Lady® is an exciting apple originated in Western Australia.